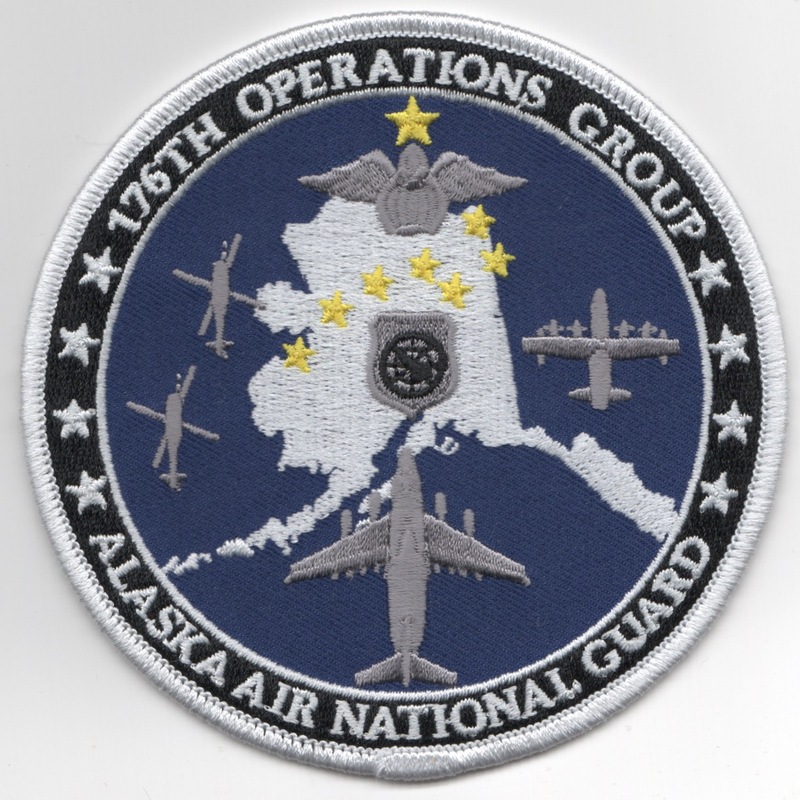 This is the 45th anniversary patch for the 142nd Airlift Squadron patch. 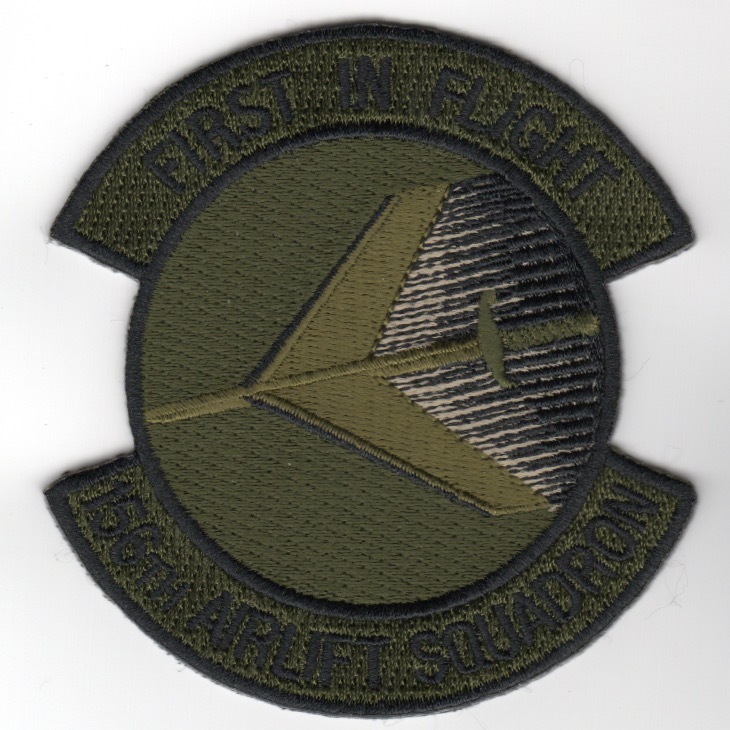 This is the squadron patch for the 143rd Airlift Squadron. They are also the Rhode Island Air National Guard also. 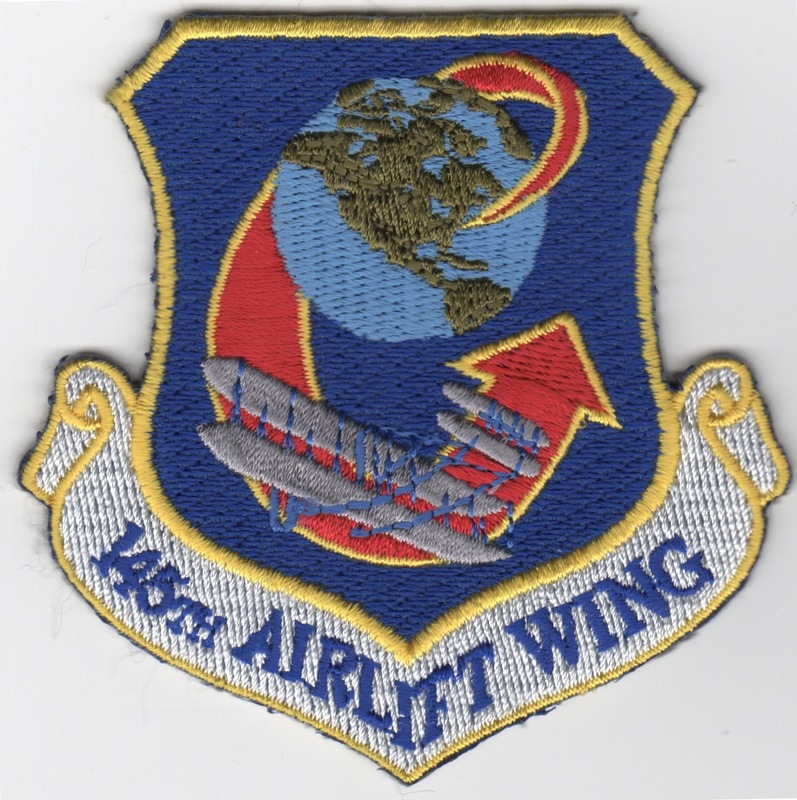 This is the wing crest patch for the 145th Airlift Squadron. The 145th Airlift Wing (145 AW) is a unit of the North Carolina Air National Guard, stationed at Charlotte Air National Guard Base, at Charlotte Douglas International Airport in Charlotte, North Carolina. If activated to federal service within the United States Air Force, the wing is operationally gained by the Air Mobility Command (AMC). The 156th Airlift Squadron (156 AS) is a unit of the North Carolina Air National Guard 145th Airlift Wing, assigned to Charlotte Air National Guard Base, NC and is equipped with the C-130H Hercules aircraft. 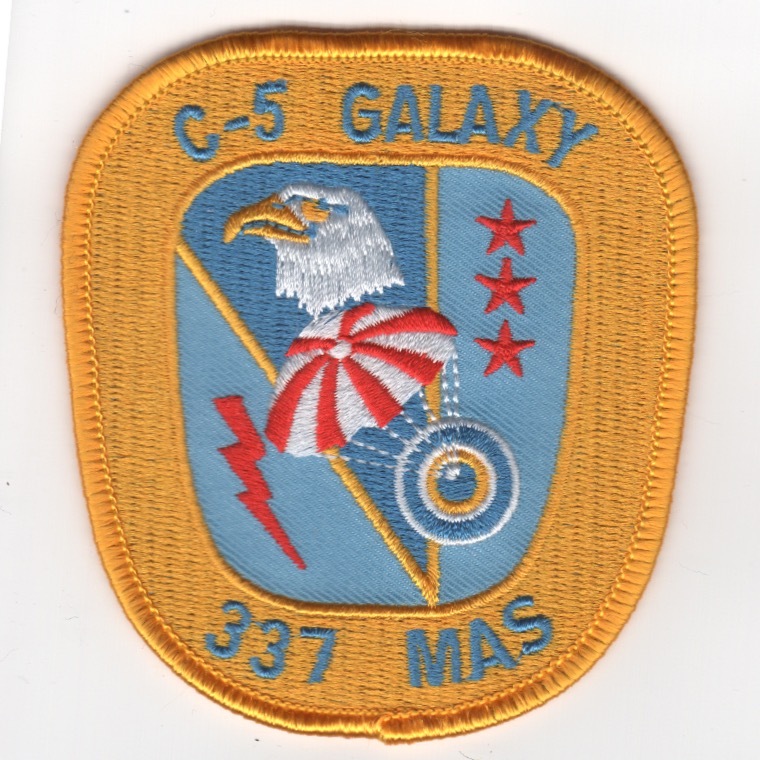 This is the blue (color) version of their squadron patch and does not come with velcro attached. The 156th Airlift Squadron (156 AS) is a unit of the North Carolina Air National Guard 145th Airlift Wing, assigned to Charlotte Air National Guard Base, NC and is equipped with the C-130H Hercules aircraft. This is one of the 'subdued' versions of their squadron patch (subdued outer and inner) and does not come with velcro attached. The 156th Airlift Squadron (156 AS) is a unit of the North Carolina Air National Guard 145th Airlift Wing, assigned to Charlotte Air National Guard Base, NC and is equipped with the C-130H Hercules aircraft. This is one of the 'subdued' versions of their squadron patch (OD Green outer/dark blue inner) and does not come with velcro attached. The 156th Airlift Squadron (156 AS) is a unit of the North Carolina Air National Guard 145th Airlift Wing, assigned to Charlotte Air National Guard Base, NC and is equipped with the C-130H Hercules aircraft. 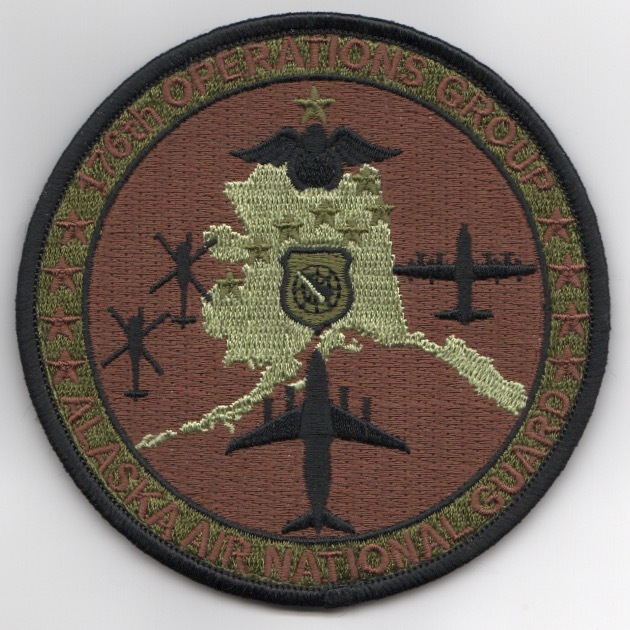 This is one of the 'subdued' versions of their squadron patch (OD Green outer/OD Green inner) and does not come with velcro attached. The 156th Airlift Squadron (156 AS) is a unit of the North Carolina Air National Guard 145th Airlift Wing, assigned to Charlotte Air National Guard Base, NC and is equipped with the C-130H Hercules aircraft. 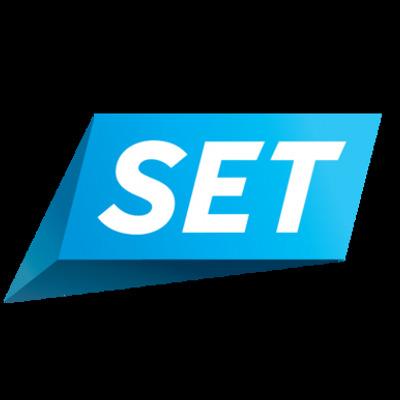 This is one of the 'desert' versions of their squadron patch (Des outer/Des inner) and does not come with velcro attached. Use this link to get all FIVE of the 156ALS patches shown above at a discount. 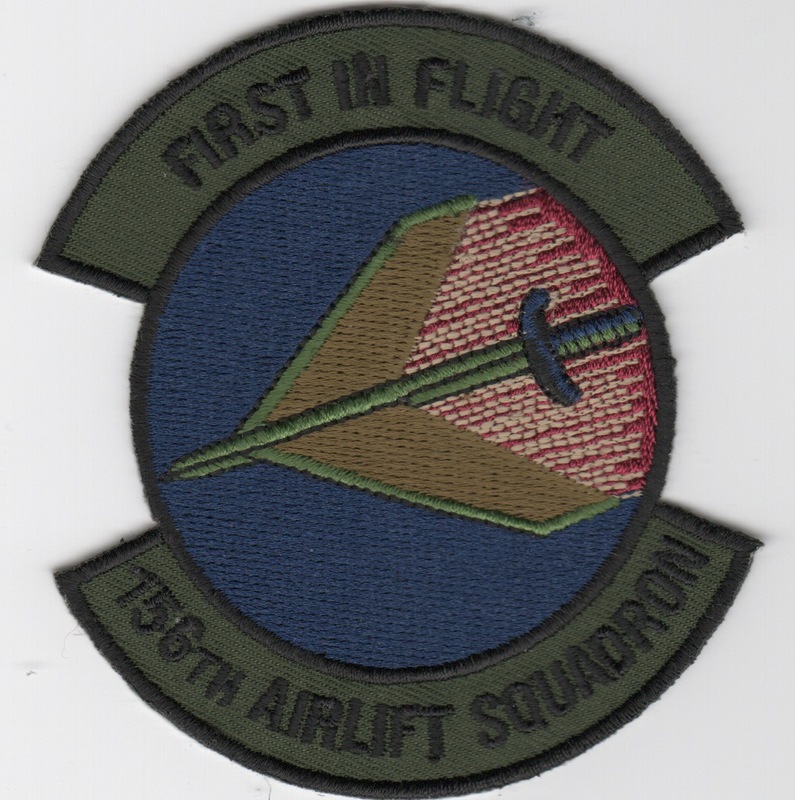 This is the small color version of the squadron patch for the 158th Airlift Squadron. I don't have any other info on them at the moment. This is the small desert version of the squadron patch for the 158th Airlift Squadron. I don't have any other info on them at the moment. This is the color version of the subdsquadron patch for the 164th Airlift Squadron. I don't have any other info on them at the moment. 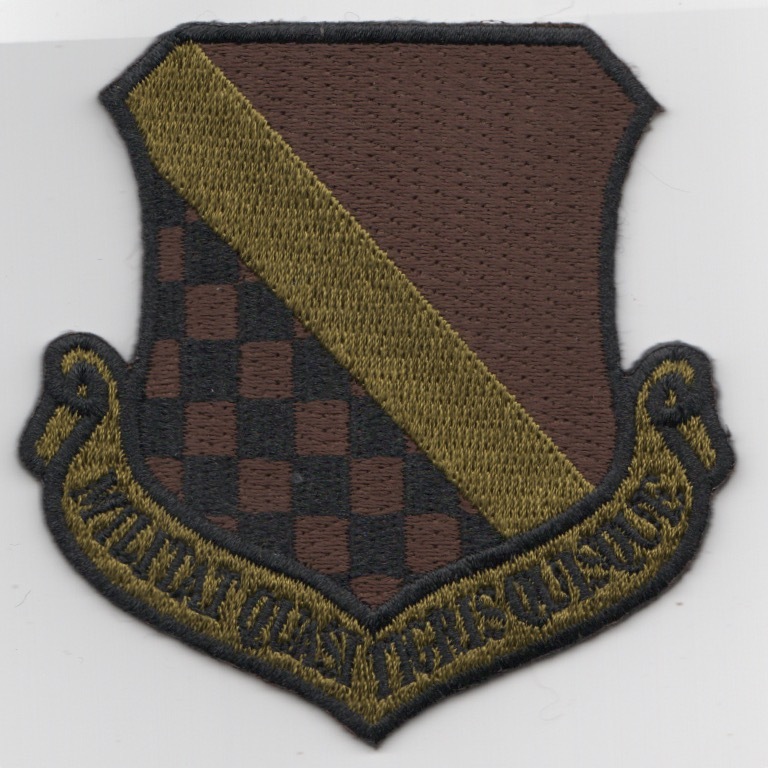 This is the subdued version of the squadron patch for the 164th Airlift Squadron. I don't have any other info on them at the moment. This is the desert version of the squadron patch for the 164th Airlift Squadron. I don't have any other info on them at the moment. This is the desert version of the current squadron patch for the 171st Airlift Squadron. don't have any other info on them at the moment. This is the new OCP (with Latin) version of the 140th Fighter Wing (FW) crest out of Buckley AFB, CO. The 200th Airlift Squadron (ALS) operates the C-21A Learget to provide secure priority airlift for the highest level of military and civilian leaders throughout the world. This patch does not come with velcro attached. 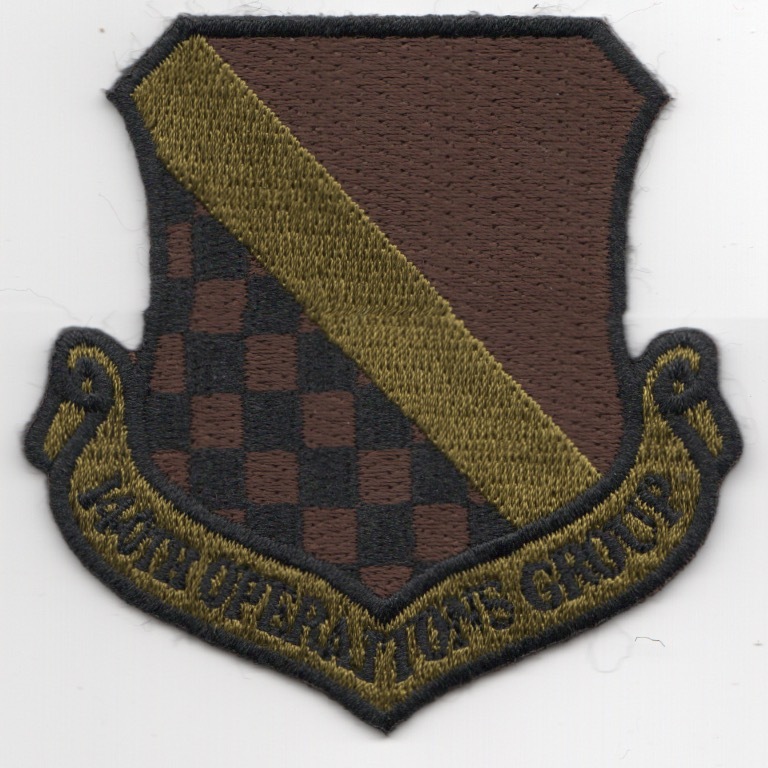 This is the new OCP version of the 140th Operations Group (OG) patch out of Buckley AFB, CO. The 200th Airlift Squadron (ALS) operates the C-21A Learget to provide secure priority airlift for the highest level of military and civilian leaders throughout the world. This patch does not come with velcro attached. The mission of the 176OG is to ensure the combat readiness of 176OG assets, including 30 aircraft and more than 600 assigned personnel committed to meeting National Guard Bureau and Pacific Air Forces (PACAF) taskings. They also provide training, intelligence, weapons/tactics, resource management and airfield operations support to all components of the 176OG and intelligence support to all components of the 176th Wing. This is the blue version of their patch and does not come with velcro attached. The mission of the 176OG is to ensure the combat readiness of 176OG assets, including 30 aircraft and more than 600 assigned personnel committed to meeting National Guard Bureau and Pacific Air Forces (PACAF) taskings. They also provide training, intelligence, weapons/tactics, resource management and airfield operations support to all components of the 176OG and intelligence support to all components of the 176th Wing. This is the new OCP version of their patch and does not come with velcro attached. 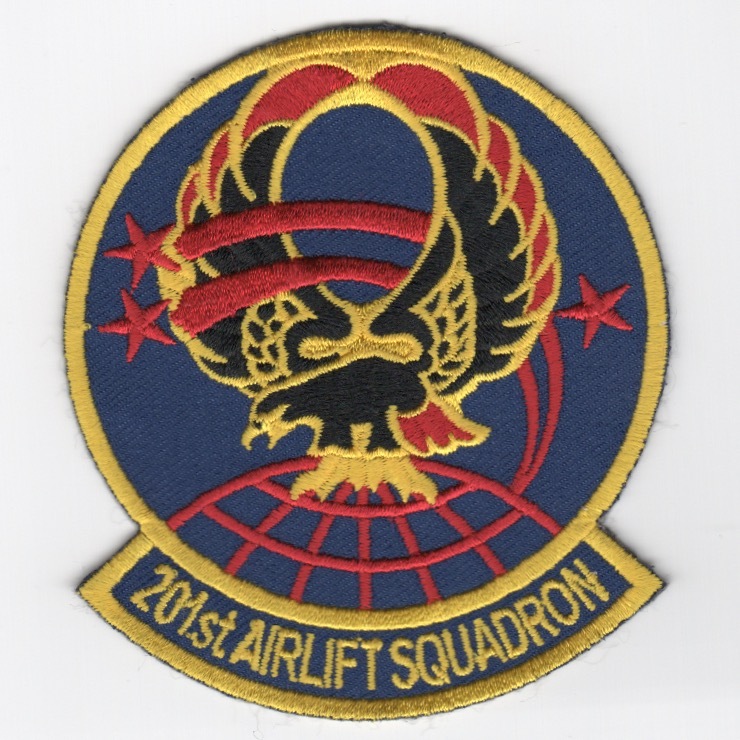 This is the blue version of the current squadron patch for the 201st Airlift Squadron (ALS). The 201st Airlift Squadron flies Boeing C-40 Clipper and the C-38 Courier. 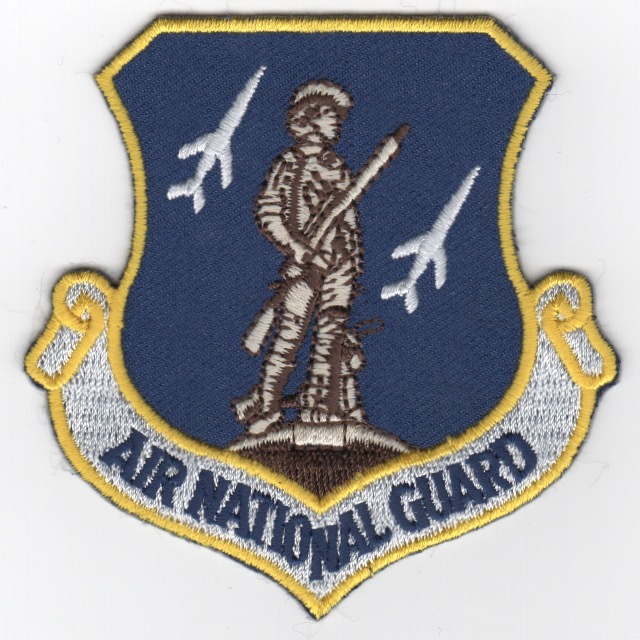 It is a unit of the District of Columbia Air National Guard. Its parent unit is the 113th Wing. The 201st Airlift Squadron provides short notice worldwide transportation for the Executive Branch, Congressional Members, Department of Defense officials and high-ranking U.S. and foreign dignitaries using the C-40C aircraft. This patch does not come with velcro attached. This is the blue version of the ANG crest for the 201ALS. This patch does not come with velcro attached. Use this link to get both of the 201ALS patches at a discount. This is the 45th anniversary patch for the 328th Airlift Squadron patch. The 337th Airlift Squadron is part of the 439th Airlift Wing at Westover Air Reserve Base, MA. It operates Lockheed C-5 Galaxy aircraft supporting the USAF global reach mission worldwide. They airlifted U.S. airborne forces, military equipment and supplies as needed during Korean War, 1951-1953. The squadron also flew airlift missions worldwide, 1953-1989. At the end of 1989, it took part in Operation Just Cause, flying troops and equipment to Panama. This patch does not come with velcro attached.